Treat yourself this weekend to a luscious breakfast or brunch that is as unbelievably delicious as it is unbelievably good for you. 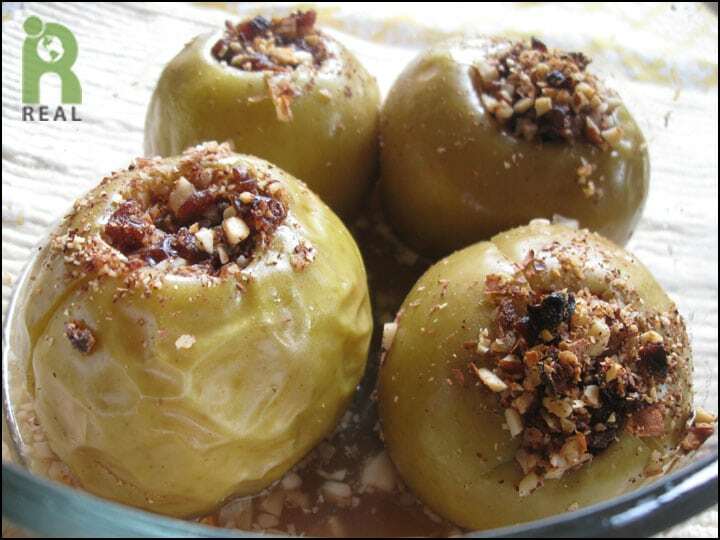 It’s REAL Baked Apples. Chop the almonds and raisins and mix with the spices. Place the apples in a baking dish and add a small amount of water, about 1/2 inch in depth. Fill the cored centers with the almond/raisin mixture. Bake, covered, at 350oF until apples are soft, about 40-50 minutes. Remove from oven. Plate each apple with some of remaining juice in the baking dish and serve with non dairy yogurt.